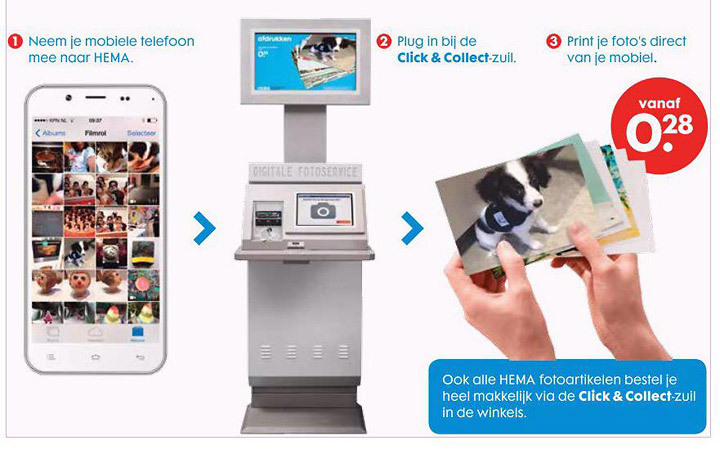 diz has designed and manufactured the photo and shopping kiosks for the HEMA retail chain for over 15 years. 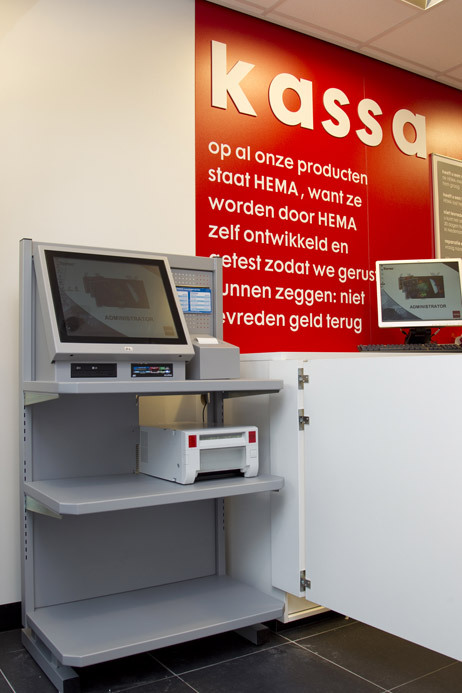 The kiosks, designed entirely in the HEMA interior style, can be found in all HEMA stores. 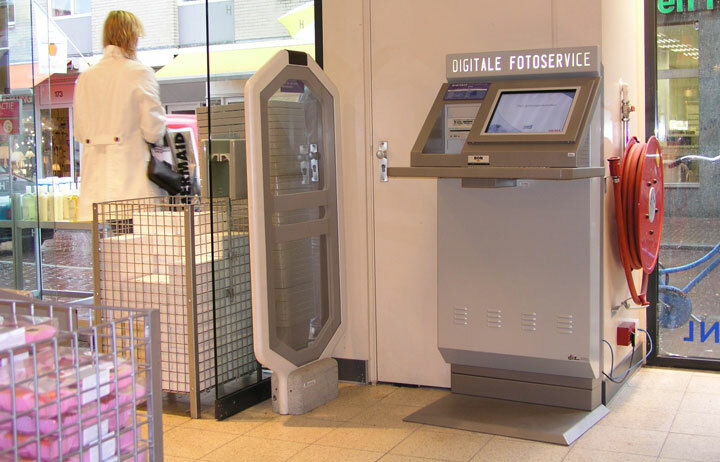 The photo kiosk can be used to order and print photos without any intervention by an employee. The photos to be printed and the required format are selected on the easily operated touchscreen. The photo kiosk can read CD-ROMs, memory cards, USB sticks and most telephones. But since a few years ago the photo kiosk has another key function. Customers can also use the kiosk to order articles that are not in stock: truly a self-service shop-in-shop solution from diz!